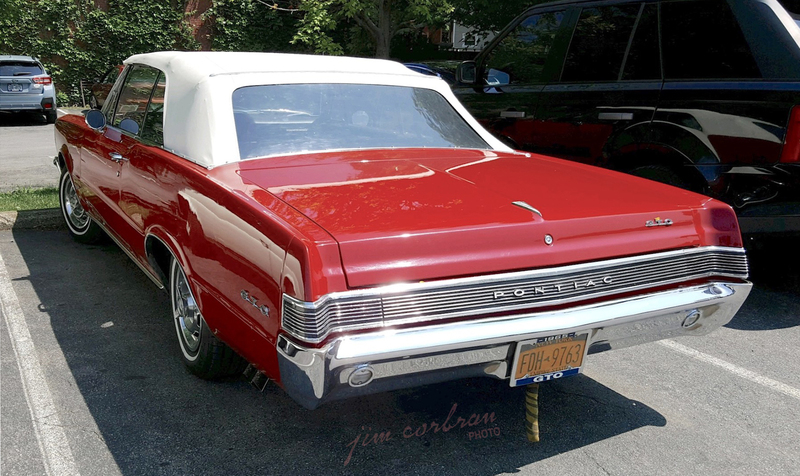 This 1965 Pontiac GTO might be one of the nicest examples around of what many consider to be the progenitor of the muscle car genre. Introduced for the 1964 model year, the GTO used Pontiac’s smallest body style with the powerful 389CID V-8. It was offered in two-door pillared coupe, hardtop, and convertible versions. You see a lot of GTOs at car shows these days, but very few are as stock-looking as this one, seen a few weeks ago in Buffalo. Especially rare these days is the set of whitewall tires (not so unusual back in 1965) along with the extra-cost custom spinner wheel covers. This one also appears to have an ESSO gasoline tiger in its tank.